A new event hall with space for up to 500 guests was built for the event center Rantastic in Haueneberstein. Just as in the affiliated restaurant “Reederei”, the new premises were designed with shipping containers and named “Dock 1”. 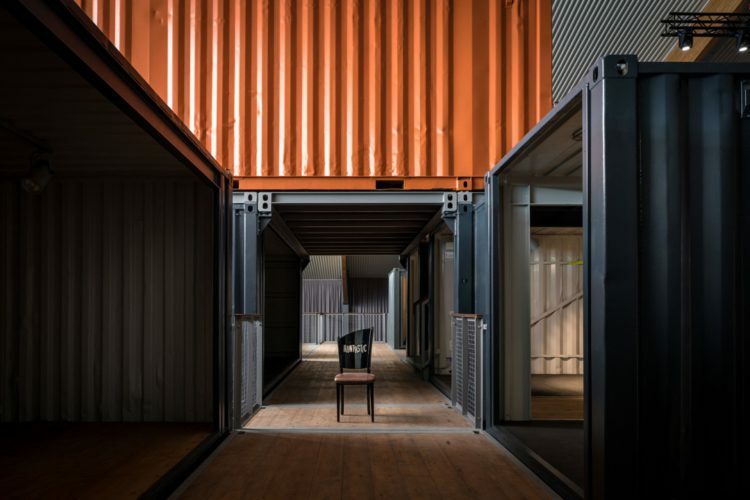 A total of 23 containers were used to form nine individually or jointly usable rooms on three levels. With the help of a backdrop wall, in the style of a major city row of houses, the hall space can be resized as needed.